This is a pretty mirror that has a design on the border of the mirror. 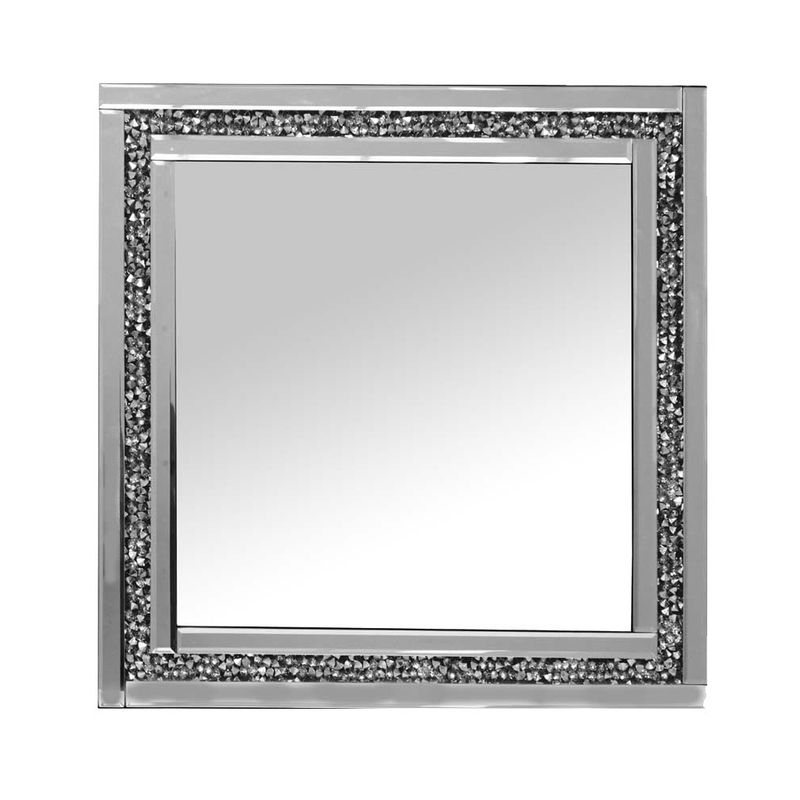 The detailing of this is a shining like crystal design on the border of the outside of the mirror. This could be the perfect mirror for your home if you want to go for more of a modern and contemporary look. The mirror is part of the Gatsby collection.